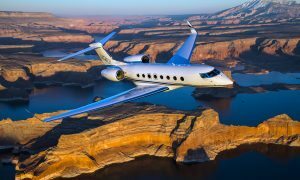 Gulfstream has announced that the G500 has achieved several flight-test milestones, including surpassing more than 100 hours of flight. The accomplishments come just 12 months after Gulfstream announced the all-new G500 and G600 aircraft programs in an Oct. 14, 2014, ceremony at its Savannah headquarters. As of Oct. 13, 2015, the G500 flight test aircraft had successfully completed more than 45 missions. The longest of those was 5 hours and 22 minutes for a total aircraft flight time of more than 100 hours. In the five months since the aircraft’s first flight, it has reached an altitude of 38,500 feet/11,735 meters and a maximum airspeed of Mach 0.80. 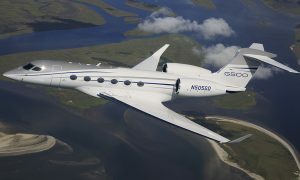 The G500 flight-test and certification program includes four test aircraft. 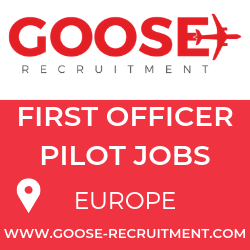 Each is used for a specific series of tests, with the first aircraft (T1) focused on flight performance and flight controls, the second (T2) on flight loads validation, the third (T3) on avionics, and the fourth (T4) on human factors and supporting systems. The program also includes one aircraft with a fully outfitted interior to validate the functionality and compatibility of various cabin systems when used at altitude. 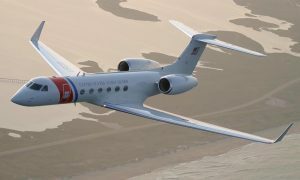 Gulfstream has completed initial testing of the aircraft’s handling qualities as well as testing of the high-speed and attitude recovery stall system. The company is in the midst of flutter and envelope expansion testing on T1 and preparing T2 and T3 for flight, with the start of ground and loads testing on T2 and avionics testing on T3. In support of full flight-envelope expansion, the G500 successfully completed static limit load testing on its primary structural components, including fuselage, wing, vertical and horizontal stabilizers, main landing gear, nose landing gear and all control surfaces. The limit load represents the maximum load the aircraft should experience during its life cycle. The aircraft will be tested to ultimate load, which is 50 percent more than limit load. Fatigue testing will begin once structural testing is complete. The fatigue test article has already been manufactured and will be subject to three lifetimes of operation to evaluate the structural integrity of the aircraft. Together, the G500 and G600 programs have accomplished more than 39,000 hours of lab testing. Gulfstream anticipates certification of the G500 in 2017, with entry into service in 2018. The G600 certification is slated to follow in 2018, with entry into service in 2019.